How many times have you been in a meeting or a conference and just wanted to jot down an ideas or sketch. You don't want to become totally distracted by typing reams but you do want to record it so it doesn't get lost. The following apps allow you to do just that. 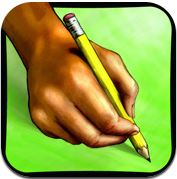 You can write with your finger or use a stylus if that is more comfortable. These apps will let you record, organise and then share these musings. Great for your classroom or students as well. Many of these apps are excellent in their own right. They do exactly what the developers say they will. They are note taking apps, but, one or two do a little more. The Soundnote app I have blogged about before and is an interesting take on multimedia notetaking. It is something that I have used to keep digital voice recordings as minutes to meetings. Another that I think offers more than expected is iStudious. It's a complete note taking app designed for students and performs in a similar way to other apps. 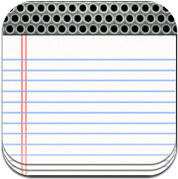 You can create notebooks for each class and organize the notebook by lectures etc. 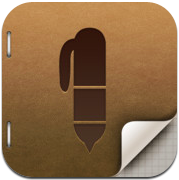 iStudious is, however more than just another note taking app. After you have spent the time organising your notes you can then turn them automatically into flashcards that help you study the information you have just recorded. This is the major difference between iStudious and other apps. 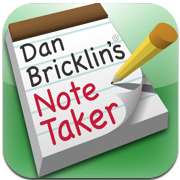 It is a note taking app that includes an integrated flashcards feature. This added feature turns iStudious into an app that delivers the ability to record and then study your notes within the same app. It is also possible to import sets of flashcards from Quizlet another app I have used with some success with my classes. You also have the added ability to handwrite or solve an equation on top of flashcards - really good for those cards that you continue to stumble on. 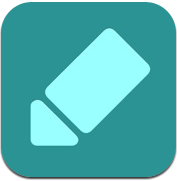 This note taking app not only offers smooth fluid handwriting capabilties for note taking but it offers multiple options with pen sizes and colour options - great for organising your notes so you use different colours for different components of your course. The app also offers rich text formatting for those people who are visual learners and like to organise their notes graphically. I like the approach that the developer have taken on this app. 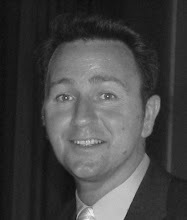 It is a student centred tool designed to allow the students to optimise their own learning. WritePad lets you take handwritten notes with a stylus or even your finger. 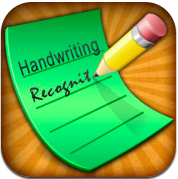 The handwriting recognition software will adapt and learn your style of writing. You can use simple gestures to select text, cut, copy, paste, and insert special characters. It has a spell checker with its own custom dictionary, auto-corrector, and a Shorthand feature that fills-in words. WritePad lets you save and transfer files over Wi-Fi from your iPhone or iPad to another iPhone or iPad. The original handwriting app now includes photo annotation. It gives you the fast, tactile gratification of writing on paper, with digital power and flexibility. Take notes, keep sketches, or share your next breakthrough idea -- in the office, on the go, or home on the sofa. Store your thoughts in separate notebooks for each project. Penultimate can manage as many notebooks as you can create. You can browse quickly through all pages, or insert, delete, duplicate, and reorder them. 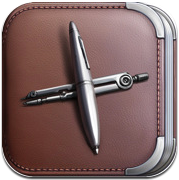 Note Taker HD is a powerful app for writing and organizing handwritten notes, diagrams, etc., on the iPad. It can shrink your writing so you can easily fit a lot of text on a page. You can read the reduced-size "ink" as if you had written those letters with a very fine pen. Documents are flexibly organized by tags, date/time last modified or favorites. You can email one or more pages as a single PDF file, "Open In" other apps like Evernote and Dropbox, or, if your iPad supports it, print. 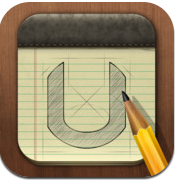 Notes Plus is a note-taking tool that supports handwriting, typing and audio recording. It offers close-up writing mode for small text, stroke smoothing, vector shape auto-detection, palm handling, complete folder structure, PDF exporting, emailing, Google Docs uploading, and more. Hand write comfortably with your big finger, your text will show up as fine as with pen and paper. 2010 Best App Ever nominated in both categories: Best Productivity and Most Innovative. Noteshelf is the handwriting note taker that features super natural digital ink, a stunning UI and a comprehensive toolset that will increase the benefits of owning an iPad by leaps and bounds. Neatly organize all your notebooks on the shelf, each with a cover and title of your choosing. Group related notebooks together and label the groups appropriately for better organization. Password protect groups of notebooks on the shelf for privacy. Rearrange pages within a notebook to reorganize your notes. Note Taker makes it easy for you to quickly write down and organize names, phone numbers, addresses, shopping lists, notes, and more. You write directly on the screen with your finger. It's like having a stack of note cards and a pencil always with you. Pages are flexibly organized by date/time last modified, tags, favorites, and more, with thumbnail images of part of each page to help you find them later. It automatically shrinks your writing and Note Taker automatically adds new writing next to the old. Equipped with an excellent handwriting/drawing engine, UPAD will surprise you when you start to write on it with a stylus pen or your finger – because it brings a feeling very close to writing on an actual paper! UPAD promised smoothness and speed, on top of countless differentiated features from other similar apps. Let us enlighten you with what UPAD can do. 3 in 1. UPAD is the answer ! 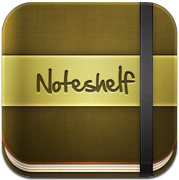 This is an Note taking app, a PDF annotating + reader app as well as a Photo editor. Have you ever wanted to write fast, beautiful notes with no length limit and without having to use the popup keyboard? How about just using your finger on your iPad’s gorgeous screen? Use Your Handwriting (UYH) is a simple way to organize and express yourself. Instead of typing items in, Use Your Handwriting lets you write them by hand (well, by finger) - and with its unique graphic rendering engine, makes what you write look like your actual handwriting!